Items used for this design: MAC gel eyeliner (black), eyeshadow, falsies and glue, kohl pencil. 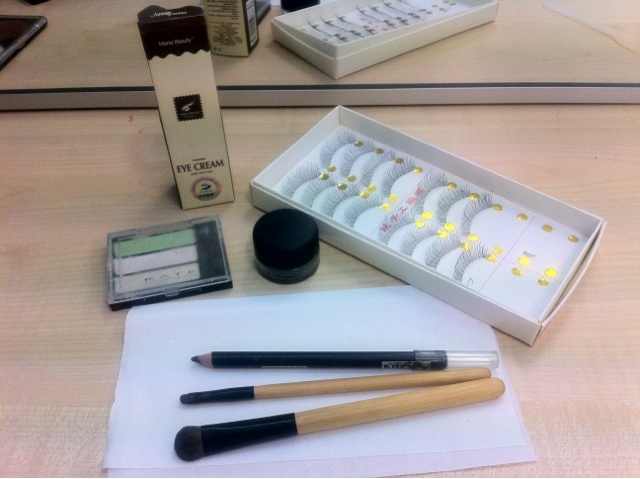 Brushes: eye shadow blending, eyeliner brush. 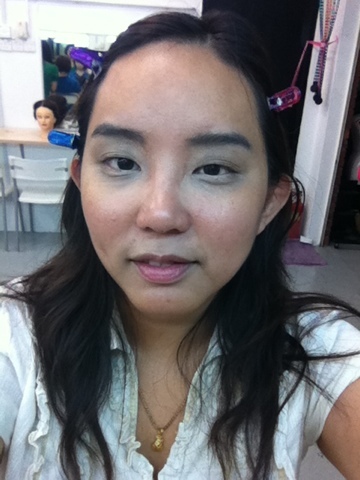 So as most may know, I have been attending makeup classes for the past few months. I had to choose between other blogger activities, or makeup lessons. Since I had to pay for my makeup lessons, that was my priority. A mate of mine remarked that I could pick up tips from watching YouTube. However, she forgot to remember that people who could pick up tips from watching videos would already have a basic foundation in makeup application, and that was not an option for me. 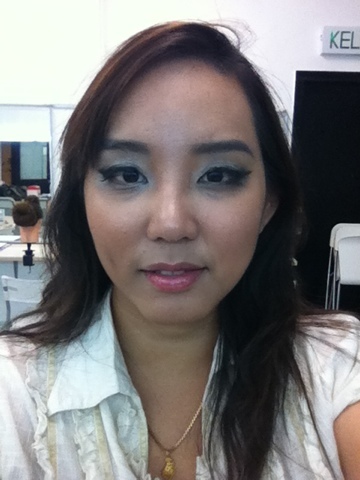 Above are pictures taken from the most recent eye makeup lesson where I was learning the cats eye makeup design. My skills are improving so I am rather pleased about that. With more practice, I should be able to create and better adapt the colours to my preference. The make up is nice. But I wanna compliment on your eye brows. I think they're pretty hehee. You know, not too thin, not too thick.